Arco-Íris (Leiria, Portugal) on 25 August 2010 in Plant & Nature and Portfolio. inside a new world ! 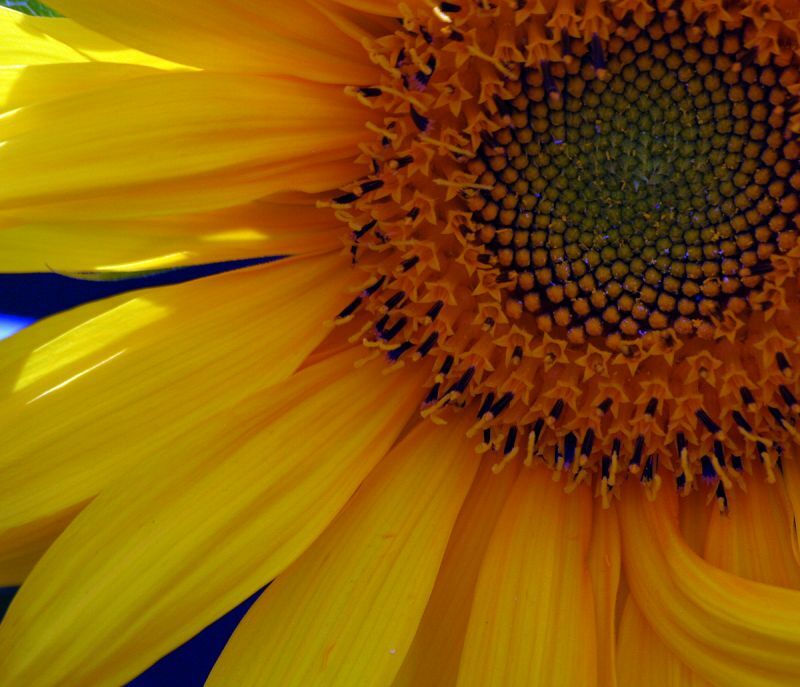 A gorgeous close up of this sunflower. I really like the deep colors and detail. Very well done. um belo conjunto de cores, Ana Lúcia, desfrutar de Outubro, muito bom! The Sun! A wonderful composition. Excellent work! Fantastic, a little more light on the centre of the flower would just put the icing on the cake! very nice closeup! I L O V E the complementary colors pulled in! so much details and artistic! From the center to the margin is the ray, the ray of the Sunflower and the ray of the Light, in the corresponding law: "on earth like in the Heaven". Also the Soul is like the Spirit... Good vision here!